Exclusive accommodation offered within a contemporary architect designed house set in the heart of Highland Perthshire. The Steading located in the heart of Highland Perthshire offers peace and tranquility where one can begin to escape and unwind. The interior is rooted in soft Scottish woollens, finest linens with a hint of Scotland throughout combined with a Scandinavian feel creating the simplest of luxurious memories. We offer the best of breakfasts to set you up for the day sourcing wherever possible local organic ingredients including freshly laid Steading eggs, locally milled oatmeal porridge, seeded breads and Glenlyon coffee. Our rooms offer King or Superking sized beds with White Company sheets, soft fluffy towels, tea and coffee making trays, flat screen TV's and are all ensuite with large walk-in showers equipped with Molten Brown toiletries. Our latest addition is a self-contained King size studio with en-suite bath and mini kitchen supplied with a Continental breakfast. There are a range of excellent eating places in the locality for evening meals. Places of interest in the area include Highland Safaris which is a stones throw away, the Crannog centre and Kenmore at Loch Tay, the Aberfeldy Watermill serving great coffee and a fine selection of books, the Dewars Whisky experience, the Birks Cinema in Aberfeldy and rafting on the river Tay. 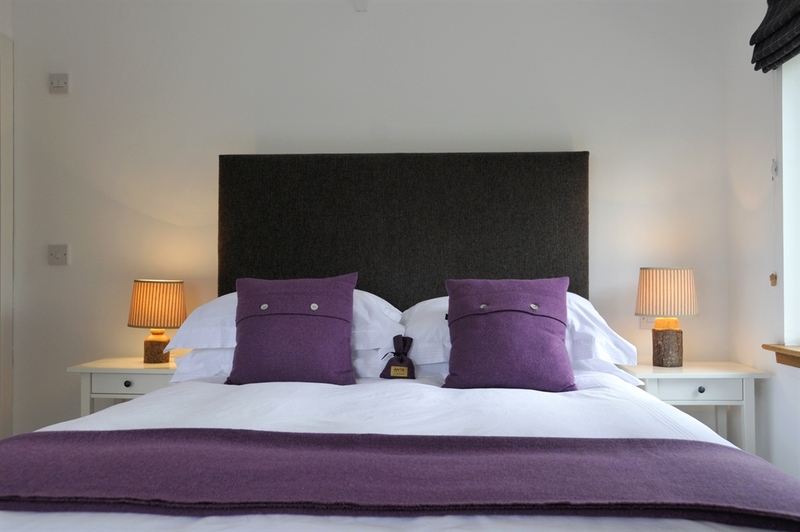 Prices range from £85 for single occupancy to £110 for double and twin occupancy.